Give your little one the royal treatment with a Little Prince themed nursery full of understated elegance. Create a peaceful retreat with neutral furnishings and accent with touches of pale blue and gold. 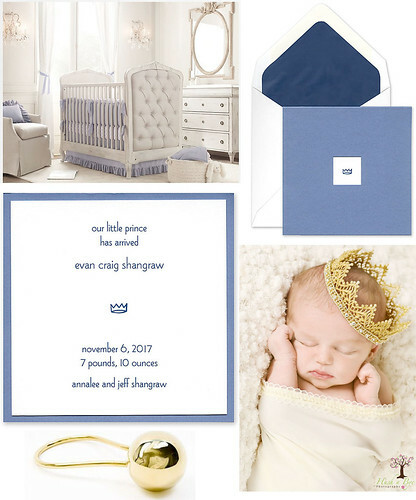 Then, continue your theme and share the happy news of your baby's arrival using a luxurious birth announcement featuring a crown motif.